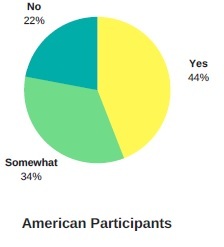 In March and April of this year, Meridian International Center, conducted a longitudinal study which surveyed American and Korean participants from the 2007 – 2017 U.S. Congress – Republic of Korea National Assembly Exchange Programs. The exchange, jointly funded by the Department of State’s Bureau of Educational and Cultural Affairs and the Committee on Foreign Affairs and National Unification of the Korean National Assembly, is Meridian’s second longest program implemented continuously since 1998. 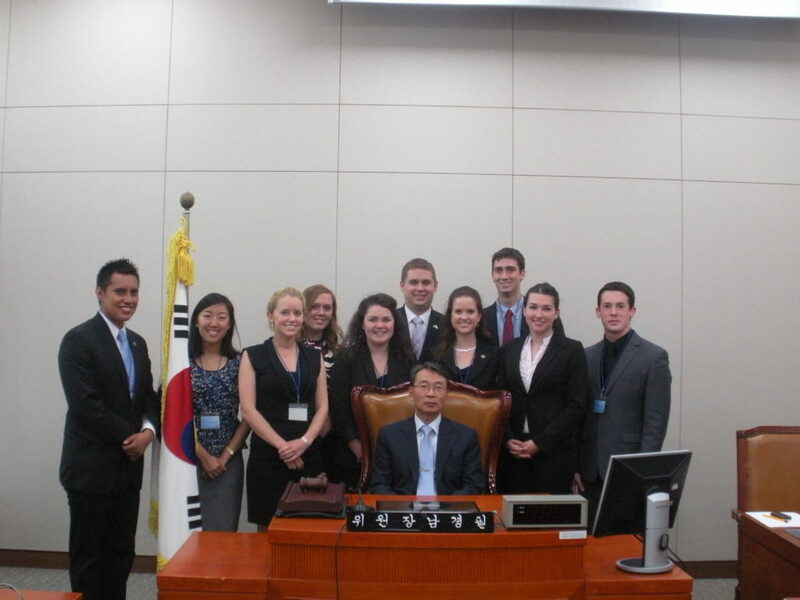 The exchange however is much older having been created in 1981 by U.S. Representative Ben Gilman and his Korean counterpart Assemblyman David Pong with the express purpose of enhancing mutual understanding and instilling interest in the U.S. – Korean strategic relationship into a new generation of young leaders. American Participants meeting with Committee on Foreign Affairs, Trade, and Unification Chief of Staff, Suk-Ho Sung. Jason is pictured first from the right. As part of the survey and to better assess the impact of the program on the participants’ lives, Jenny Park, Meridian’s Atlas Corps Fellow conducted a series of interviews to collect individual stories and to highlight interesting and relevant personal accounts. One such interview was conducted with Jason Cox, a 2011 program alumnus, who has been living in Korea for the past five years. 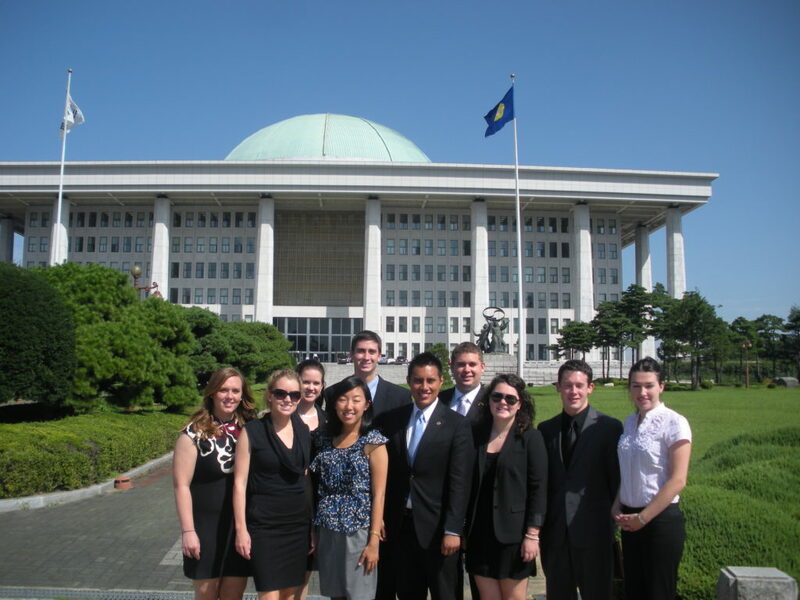 The American Delegation in front of the Korean National Assembly. Jason is pictured second from the right. After completing the program in the summer of 2011 and impressed with what he saw and experienced during his brief stay there, Jason was determined to find a job in Korea, one which will give him the opportunity to dive more deeply into the culture and traditions of the country. He applied for a several positions, and soon after, he started working as an English teacher at LG, one of the biggest companies in Korea. Jason is currently teaching International Relations, in English, at the Republic of Korea’s Navy Academy in JinHae, in the southern part of the country. For Jason, Korea is now a second home and he looks forward to continuing working there. While Jason’s experience is in many ways unique, it is by no means an exception. As highlighted by the survey results, some 44% of the American alumni responded that the program has directly influenced their career paths while an additional 34% also noted that the program has had an impact on their professional lives. Prior to this program, Jason had never thought about being a teacher. He also had never traveled to Asia. The exchange however opened his eyes both to a new culture and also to new professional opportunities. During the interview Jason noted that “as an American growing up in an abundant environment, it was shocking to hear about North Korea. I saw a boy who was the leader of the class. I thought he was 13 or 14 years old, but he told us that he was 19-year-old. His height came to my shoulder because he has suffered from malnutrition”. Jason also mentioned the more personal impact of this program. Over the years he has remained in contact with his Korean counterpart and with other members of the Korean delegation. In fact, he said that he met his best friend through this program. 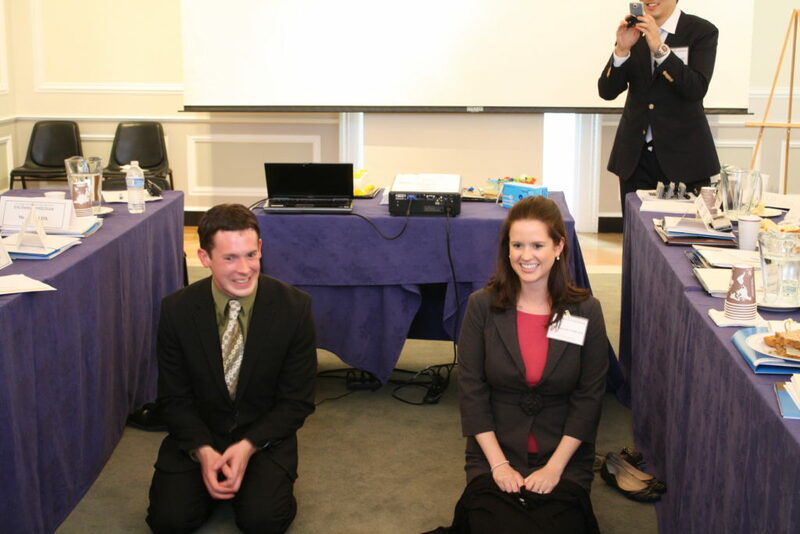 Jason taking part in a pre-departure cultural training at Meridian and learning about proper etiquette in Korea. Jason expressed how grateful he is for having had the opportunity to be a participant in the program, and how this exchange has not only opened his eyes to new world but has radically altered the course of his personal and professional life. 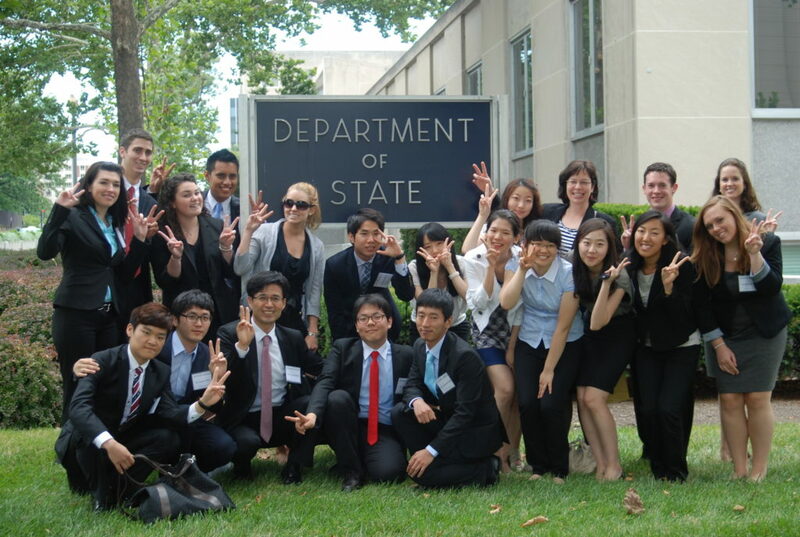 Korean and American participants after their official meeting at the U.S. Department of State. The program is funded in part through its Bureau of Educational and Cultural Affairs. This article is the third in a series of four highlighting the personal stories and the impact of the U.S. Congress – Republic of Korea National Assembly Exchange Program on its American alumni. This article was jointly written with Atlas Corps Fellow Jenny Park. 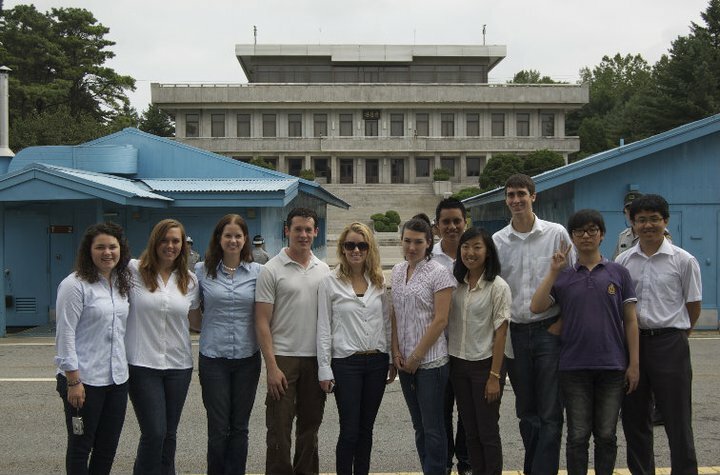 Jason, fourth from the left, pictured here at the DMZ along with the other members of the U.S. Delegation. 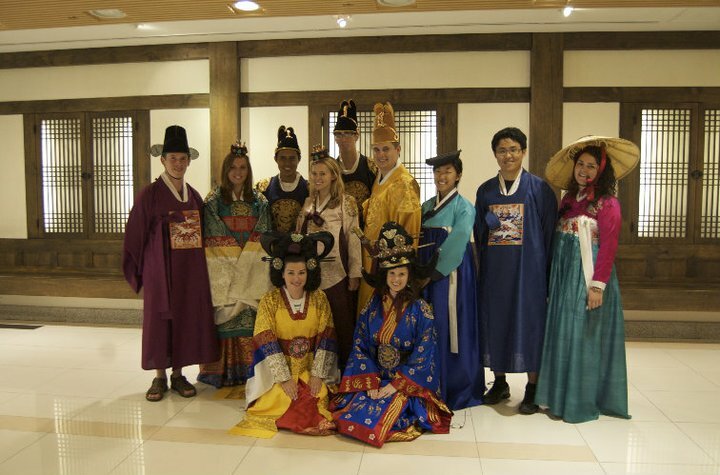 American participants dressed in traditional Korean outfits at the Traditional Korean Theater. POST TAGS: International Exchange, Korea, Meridian Alumni, Professional Exchange, South Korea, U.S. Department of State.